Winter is the season of migratory birds. We have spotted the winter guests in large numbers. Some right in our bird bath, while some in the bushes and trees around. 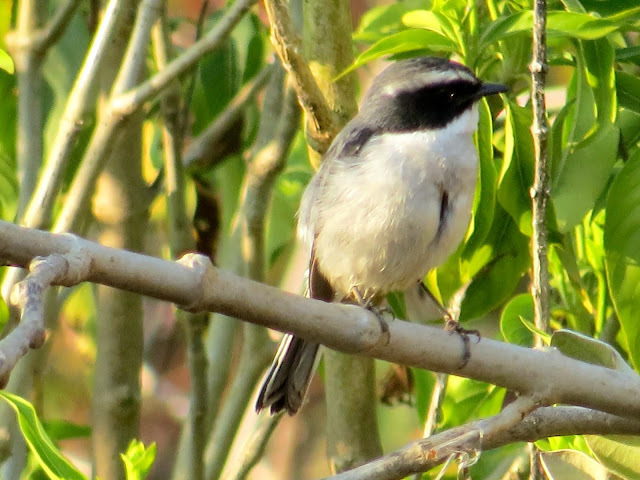 Yesterday, we spotted a Grey Bush chat in the fields. Winter is also the season when vegetables are in bountiful. Lush spinach, shiny zucchinis, bright carrots, spotless cauliflowers, smooth beans, green peas, red and rotund tomatoes and many more. 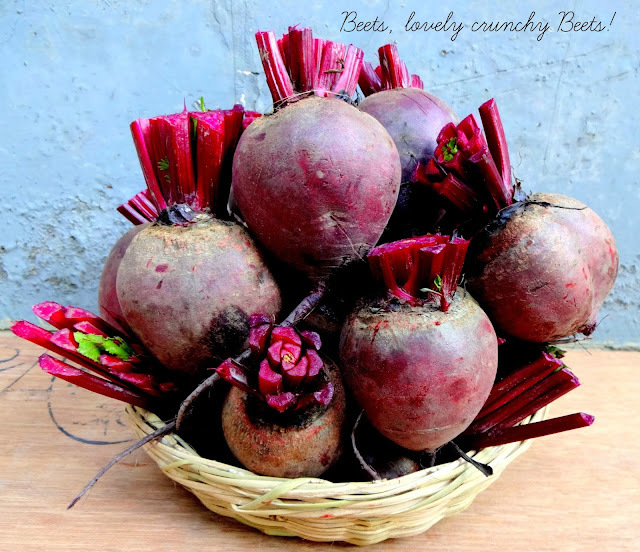 The colour of beets has always inspired me to use it in my bakes. 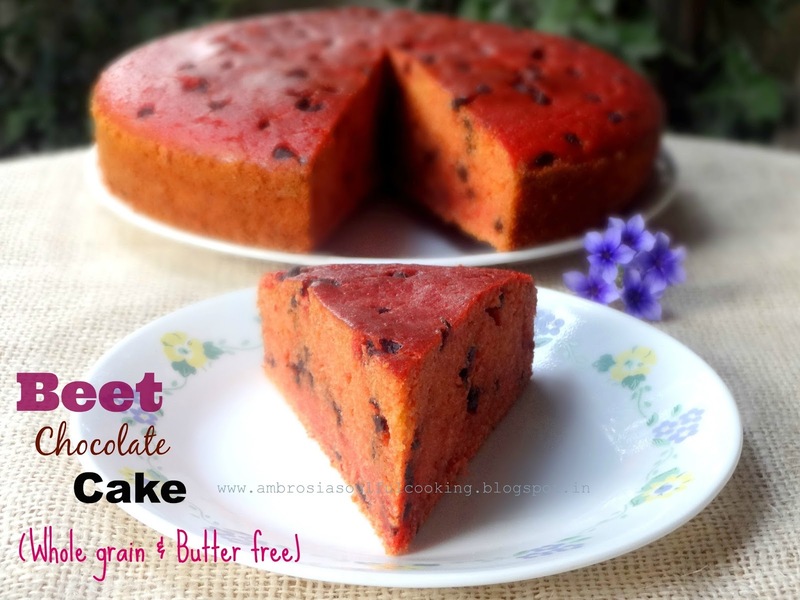 Last time when we got beets, a Beet Chocolate Cake was baked. I read this recipe in The VanillaBean Blog. 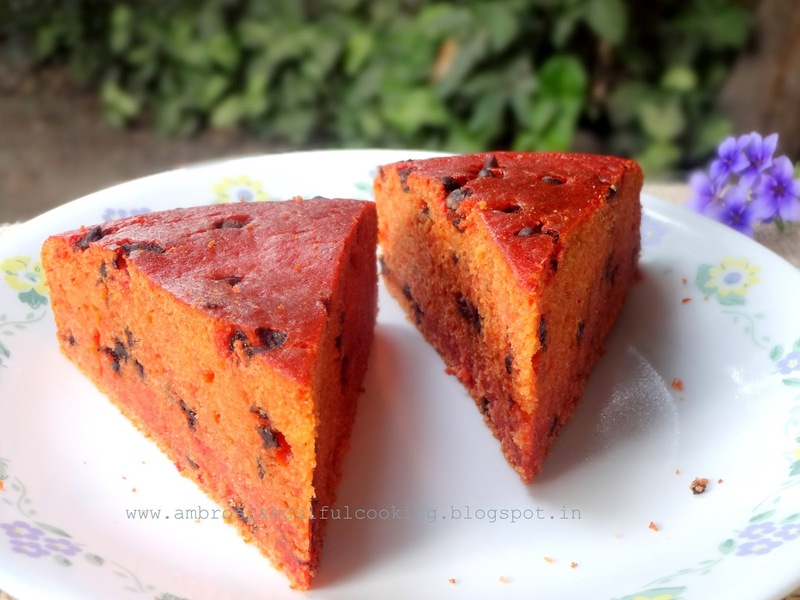 If you are an avid beet lover, then this is a must try Cake. It is a very Beety Cake with lovely colour and flavour. Grease and line a 9 inch cake tin. Pre heat the oven to 180 degrees C.
Pressure cook the beets till just tender. Peel and puree in a blender. Add honey, buttermilk, eggs, oil and vanilla essence and blend till smooth. Transfer to a large bowl. Add sugar. Sieve together whole wheat flour, all-purpose flour, baking powder and salt. Fold the dry ingredients into the wet till well combined and smooth. Transfer the batter to the cake tin. 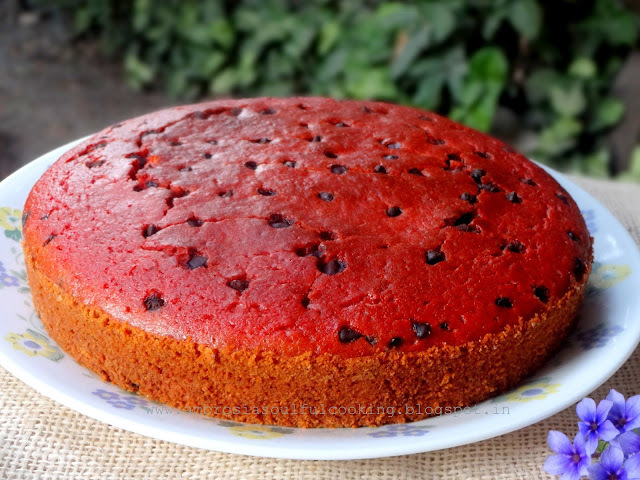 Bake for 40 to 45 minutes or till the cake shrinks from the sides and a skewer inserted in the center comes out clean. Remove from the pan and transfer to the rack to cool. 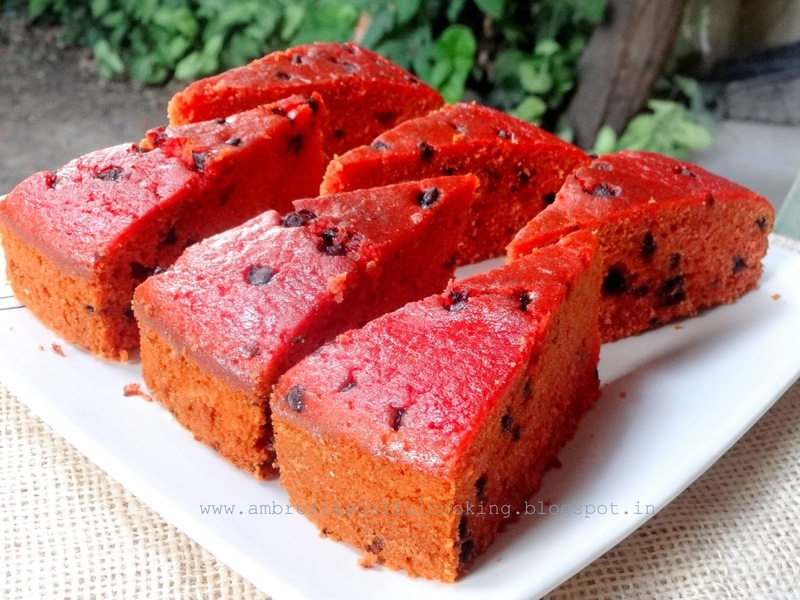 Looks so soft and spongy - great colour too!! Am waiting for the summer when I get fresh beets from our local farm!! Super ...i will make this one for my brothers birthday...thanks for sharing .1 q how long should we blend in blender i mean approx timing. Another q is can i add cocoa powder..i want to make it more cholaty how do i do it ..would 4 tbsp b enough?